I always love to dressed up in boyish style even wearing something feminin. 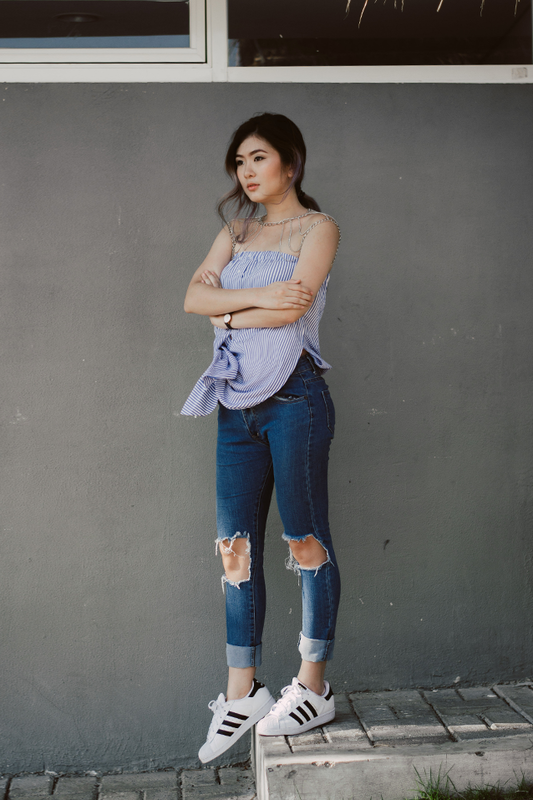 You can see in this look, I paired my strapless bor top with a boyish ripped jeans. Several people ask me where to find this kind of ripped jeans. Let me tell you that in my opinion, ripped jeans has no rules. So, you can cut it the way you want! Just cut it, no need too much thinking of wrong cutting, etc. the more it's asymmetrical, the more natural it will be. super love the top on you!